This is a version of a classic buttercream, except that the cream cheese takes on a supporting role with the butter. Frost any kind of spiced cake or cookies with this luscious spread. Its rich flavor brings a party to a spice or carrot cake, banana bread or zucchini muffins. Store any unused frosting in an airtight container; refrigerate and use within 5 days. Bring it to room temp and give it a good stir before using. Add a dash of cinnamon to the frosting for a spiced flavor, or use the seeds of a vanilla bean instead of the vanilla for extra vanilla flavor. The secret to making perfect cream cheese icing is to let the butter and cream cheese come to room temperature before you start mixing them together. Gently press your finger into the butter and the side of the cream cheese package to test for softness. If your finger leaves an indent, you’re ready to begin. Don’t forget to scrape down the sides of the bowl periodically as you work, to make sure the mixture blends well. When your icing appears is combined, you can add vanilla and powdered sugar. It’s best to switch to a wooden spoon when combining these last two ingredients. If you want your frosting to be extra creamy, add more sugar than the recipe calls for. Ready to get started? 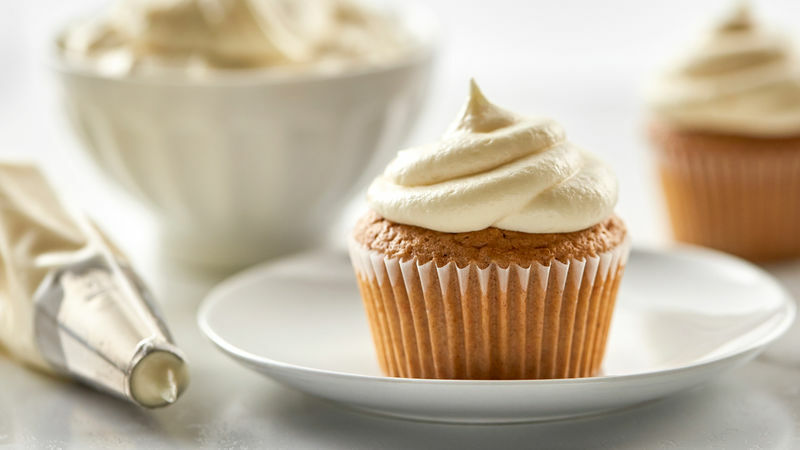 Follower our step-by-step Instructions for making cream cheese frosting. And when you’ve mastered this delicious frosting, feel free to explore the rest of our frosting recipes.